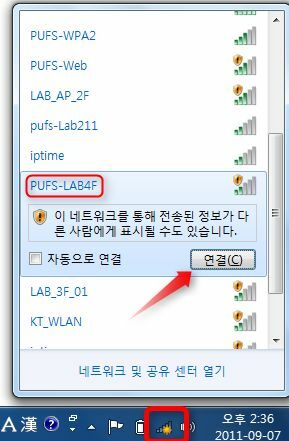 If you are having trouble connecting to the internet, click on the icon, select PUFS Lab 4F or PUFS Lab4F-1 and click connect. If you see this icon: then you are connected. In the class, always use the Chrome browser, not MSIE. If you don't have a bookmark or link to a site, type the URL directly into the address bar. You don't ever need to type http:// and usually you don't need www. You also don't need to delete what's there - just click (automatic highlight) and type. Trouble reading the letters? Ust ctrl+ or ctrl- to make text larger or smaller. When in doubt, right click. This will usually give a set of options for what you want to do. For example, when you see a link that you want to open, but don't want to lose the page you're on, right click, 'open link in new tab'. Made a mistake? Deleted something by accident? ctrl+z (undo) Most programs allow you to 'undo' a number of your previous steps. To reduce the time it takes to boot up your computer and the amount of memory used, type msconfig in the Run Window. The 'System Configuration' window will pop up. 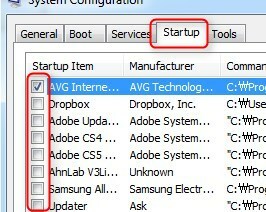 Choose the Startup tab and uncheck almost everything except anti-virus programs. Learn general functions, not specific places to click. If there's something you can do with a program or site, it's in the menu somewhere. Check the menu! Update your programs once in a while. Find 'about program' in your menu options. If you don't have the latest version find the udpate option. I hope this laptop to open all the formats of files without installing anymore add-ons. I'm Chloe of Class 4. Can I use 'favorites' instead of Bookmarks Toolbar?